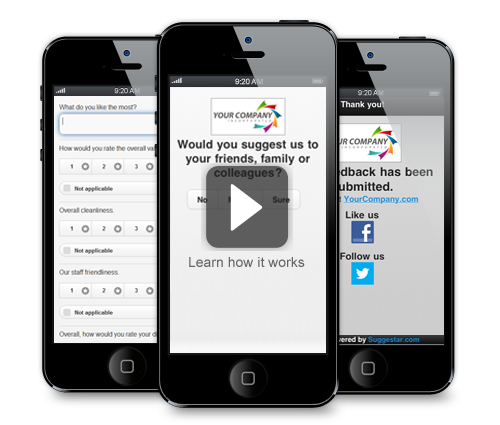 Suggestar offers your customers a simple mobile feedback experience, collects more responses and gives you actionable results. Suggestar is flexible for restaurants, retail stores or any operation. Feedback designed for smartphones. No need to download any apps. Dive into the data that really matters. Access clear reports in real-time. We offer flexible pricing options to fit your needs. Whether you own a single location or operate a franchise with multiple locations. Suggestar can scale based on your immediate needs. Connect with us to discuss the needs of your business. A Suggestar representative will be happy to guide you through our product offering.